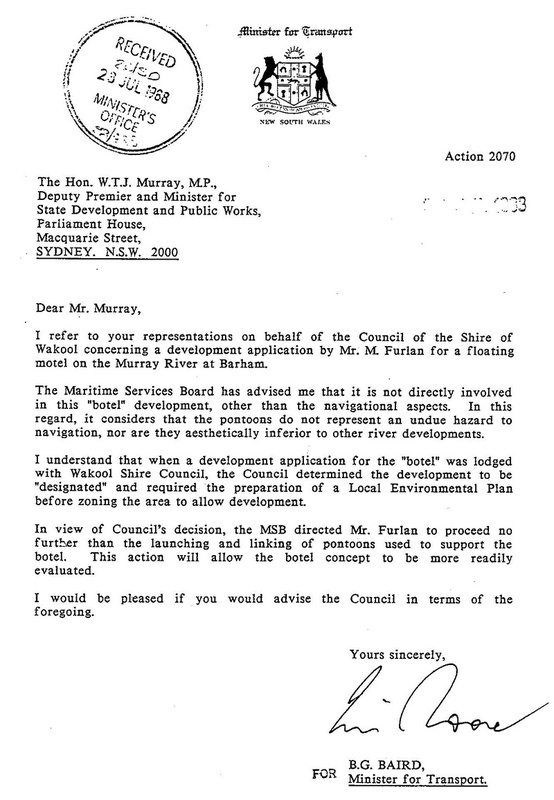 Council placed their official notice of a Botel Development in the local newspaper, Crown Lands Office intervened and required a more detailed Environmental Impact Statement study to the one previously provided to council. They promised that the council would make it public. 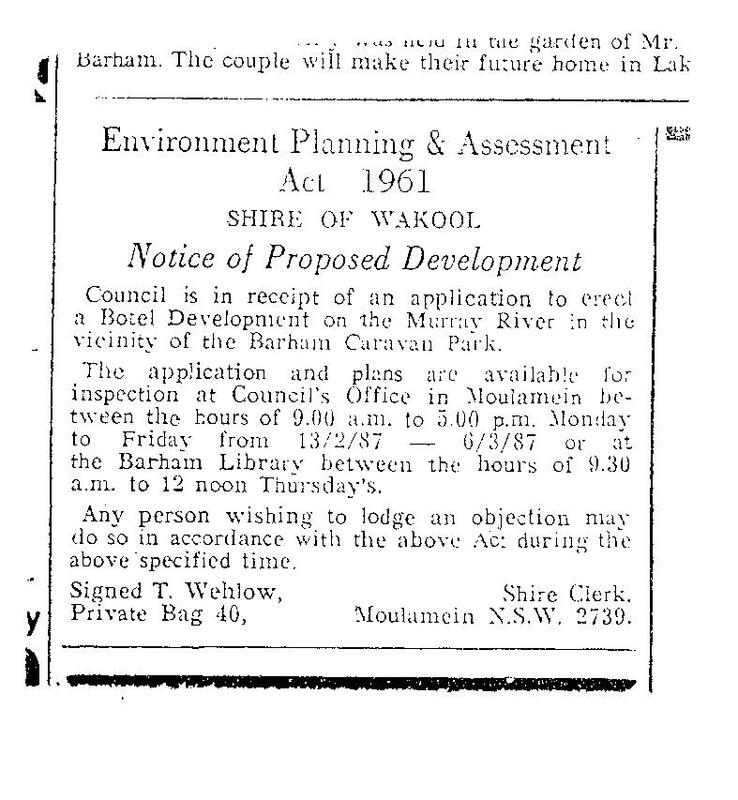 That did not happen and instead council colluded with the local newspapers to presented the botel in a bad light. 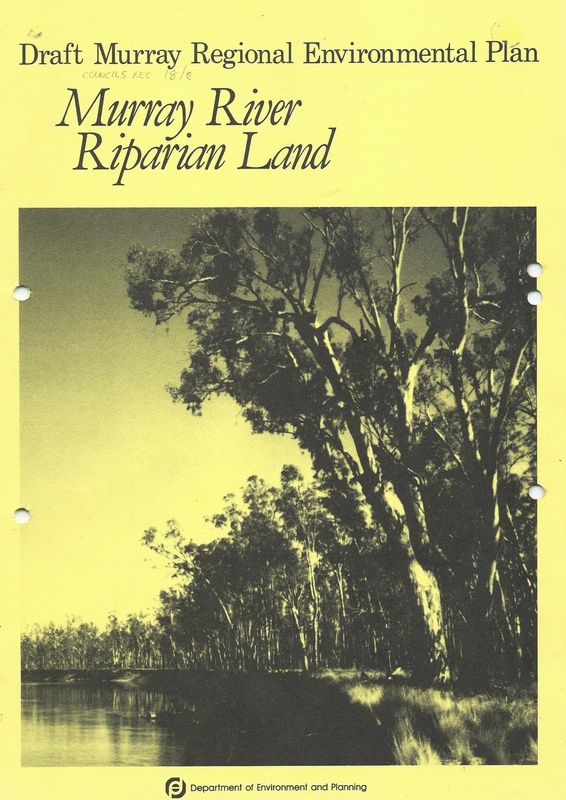 Crown Lands, as owners of the land required special lease of the riverbed. Waterhouse lodged a formal application with them. Today, it is revealed that they duly signed on as joint applicants fraudulently creating a second Development Application. Here is the record showing the the second fraudulent entry. It post dates the enactment of the NSW Murray Region Environment Plan. 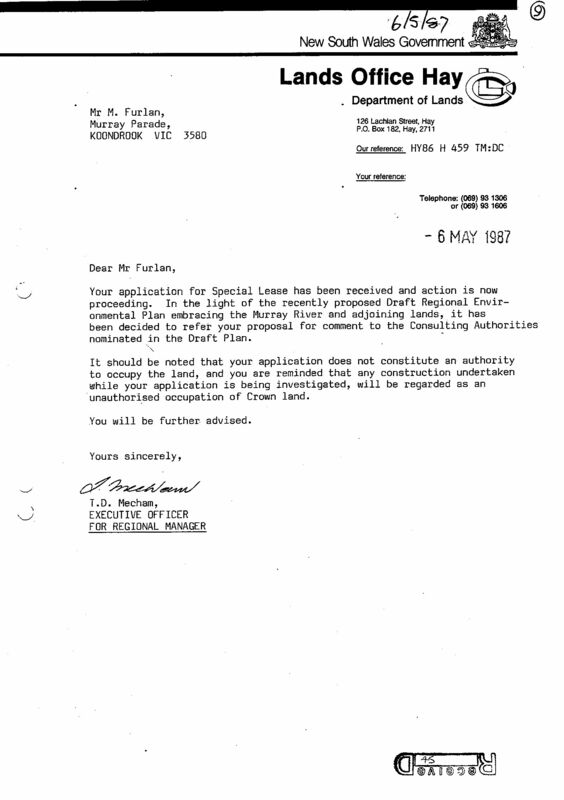 Recently, I learned that Bob Carr (NSW Planning Minister) signed the Act in September 1987 with full knowledge that our botel did not come under the Act as 'DESIGNATED DEVELOPMENT' referred to in the letter.